If Quechua has difficulty in Andes how much more does it struggle to be spoken among Andeans in the United States. New Jersey is the traditional center to which Peruvian immigrants came because of traditional textile production (a place where the talents and skills of the artisans of Peru were valued). Nevertheless, New York has also been an area to which immigrants have been drawn. New York is the gateway to the United States, but it is also where people from can find communities from countries all over the world. Quechua is a language rich in history and heritage. It also has different dialects, some of which are not mutually intelligible. 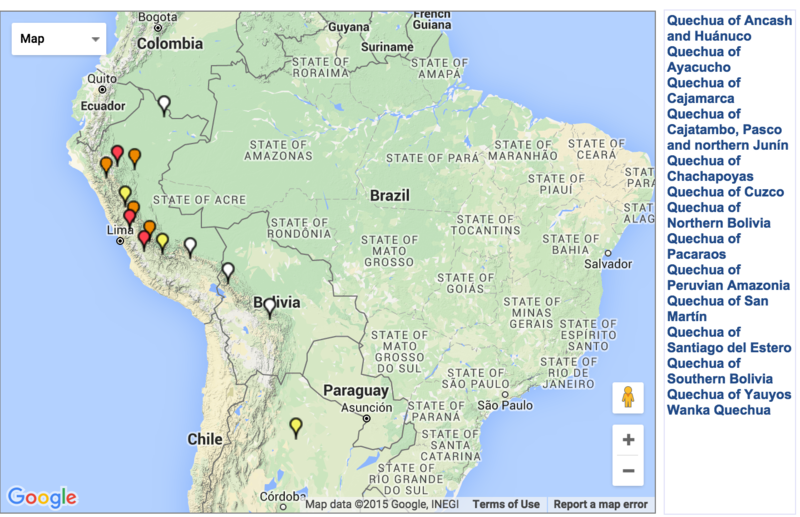 Effort has been made to formalize Quechua so it can be taught in schools across Peru. 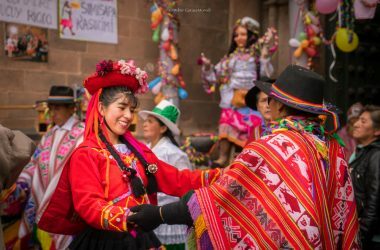 Many people in Cusco speak Quechua in their homes, but they learn Spanish in schools, hear it on the radio and TV or at work. Spanish is the language of trade and commerce. Quechua is not used in newspapers, internet, or radio except a very few exceptions. 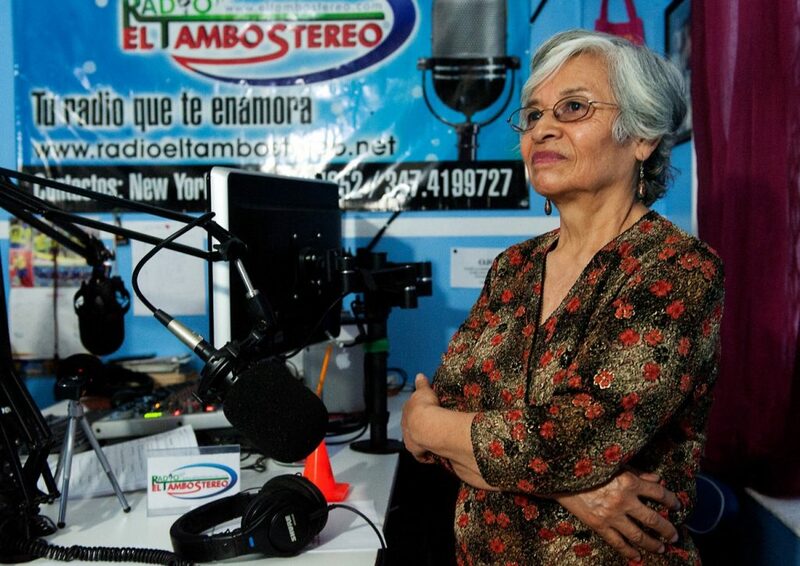 Elva is a co-founder Quechua Initiative in New York, but New York has not always been her home. 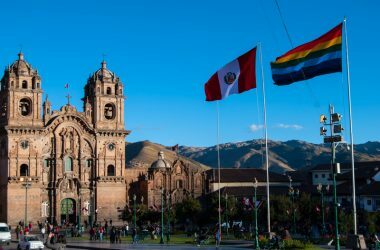 She was born in Chincheros District, Apurimac, Peru, Her family moved from there to the city of Lima but her mother and father had difficulty providing for their ten children. Elva’s older sister went to New York, USA to work and Elva followed her. As a teenager, Elva made the trip with her husband. She worked, and had two children of her own. Through the encouragement of the people from a day care center where she worked, she started and graduated from college. Teaching and learning have been fundamental parts of her life. Elva writes stories in Quechua, including a story of a boy from America who makes friends with a boy from Peru while fishing. They start to play and the boy from America loses sight of his parents. He speaks no Quechua and the little boy from Peru does not speak English. They work together to understand each other and eventually find the American boys parents. The parents meet and become friends with the Peruvian family. In this story she depicts how we can form understandings between people, and in the course of the tale introduces many Quechua words. Kay ñoqawan hamuqtiyki, runa simita yachachisqayki. Karuraqmi puririnay, runa simitan yachachini. I am a son of the Sun, going to those of my race. I’m a child of the sun, coming for a purpose. 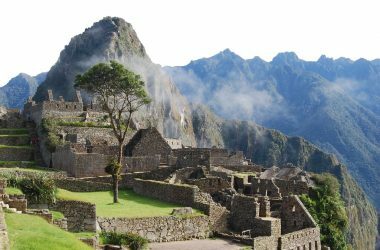 I’’ve come to find and gather the people of the Inca nation. My purpose is to teach our values, and our Quechua language. Inca child, like myself, in what country are you crying? If you listen to my calling, come back to our homeland and culture. If you listen my calling, come back with our people and remake our nation. Don’’t steal, don’’t be lazy, don’’t lie, and don’’t be dirty. Neither steal, nor be lazy, so that we may live well. Be truthful and clean, so we won’’t be lost. Inca people, you are alone in this world, hold my hand. Inca child, you are not part of this world, come home with me. If you come and hold my hand, I’’ll take you to our homeland. If you come with me, I’’ll teach you our Inca language. I still have a long way to go, I’m searching for my people. I still have a long way to go, teaching the Inca way. 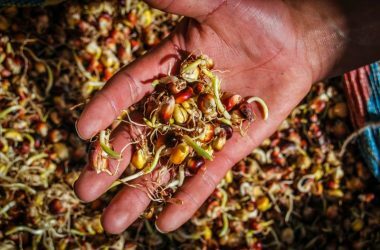 Elva has been featured in a documentary on Quechua. “Living Quechua” (Rumisimiwan Kawsay) is an award winning film about Elva’s journey from the Peru to New York and raises awareness of Quechua outside of the Andes. 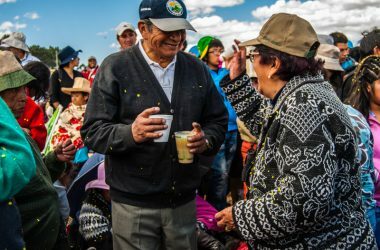 It has premiered in major cities worldwide, bringing attention not only to the social implications but also encouraging support for the Quechua Initiative, and will soon be available on DVD. I asked her what she would like to say to Quechua speakers in Peru and elsewhere. She replied, “Don’t be ashamed, it is part of who you are. You need to have pride in your language and your culture”. 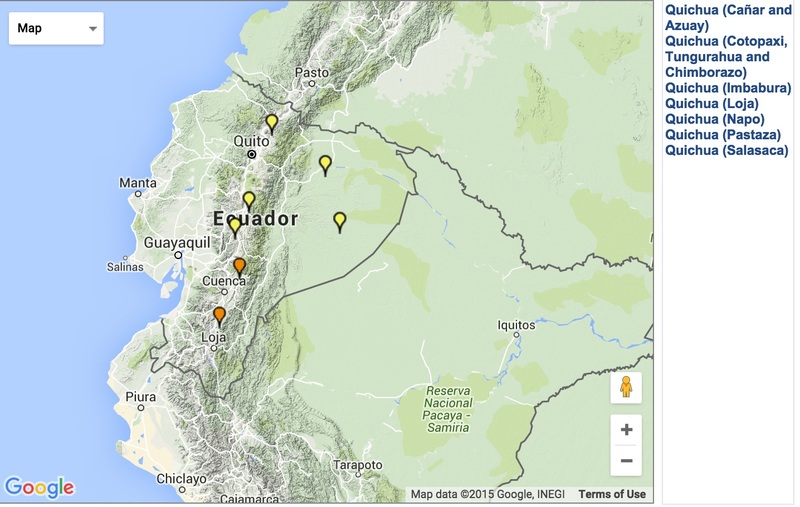 In Ecuador and Peru the language name is spelled differently which required we download two maps from UNESCO’s Language Atlas to show the location and range of dialects, most of which probably are spoken in New York.